Drop from high to low, and back again and again without worrying about your waistband in the RVCA VA Levels Legging. Designed with a high-rise waistband that holds its ground, the color blocked sport leggings eliminate tugging so you can focus on your training session. Supported with a countour waistband for comfort, the technical, high waisted yoga pant is made from moisture-wicking, anti-microbial, 4-way stretch fabric. We know the women in our community can’t just wear any spats, so we worked hard to design our KGZ Women’s Grappling Spats, featuring a new ergonomic construction, specially made with the female athlete in mind, and the best polyester/spandex material to deliver unparalleled comfort and fit, no matter what! 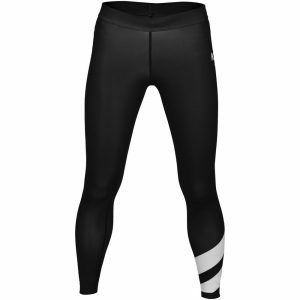 Train harder and recover faster with the RVCA VA Compression Legging. The womens activewear legging feature a light compression, made from 4-way stretch, anti-microbial, moisture-wicking fabric, offering up unrestricted movement and essential design. McDavid Recovery Tight Pants feature targeted Compression™ Technology that increases blood flow to large muscles in the glutes, thighs and calves for a more complete recovery post competition and workouts. A body forming fit that delivers easy, unrestricted movement. Engineered as a second skin with thermo-regulating tech to keep you cool and dry, ensuring comfort under the most strenuous training. The Recast Series revolutionizes compression. This line of technical apparel is in a class of its own. Tailored with Hayabusa’s exclusive high performance tensile fabric with strategic fitting points, no other series allows such a precise and comfortable fit for an unrestricted natural feel. The recast compression series provides superior thermoregulation; drawing moisture away from the skin to keep the body dry and at an optimal temperature during training. 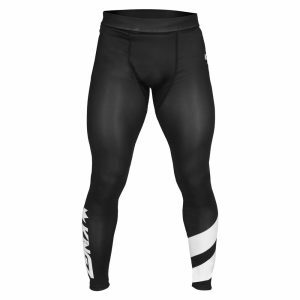 The Recast Compression Pants are perfect on their own or can be worn under any Hayabusa Loose Fit Performance Shorts. The Metaru Charged collection is 100% compliant with the International Brazilian Jiu-Jitsu Federation (IBJJF) and competition regulations, which require apparel colors to match the belt of the athlete. It is the most advanced compression series ever made. Equipped with exclusive, cutting-edge fabric technologies, this premium collection is designed for the highest level of performance, and is the new gold standard in comfort, flexibility and thermoregulation. The new 2016 model of the Tatami Ladies 3/4 IBJJF spats. These spats are plain black and conform to the IBJJF No Gi uniform guidelines. They are made from a superior panel construction, to maximise comfort for female grappler’s. All graphics are fully sublimated so they will never crack of peel. The Core range of NO GI products has been developed with some of Tatami Fightwear’s leading NO GI competitors. The Core Range features breathable mesh panels strategically placed to aid in the circulation of air around the body. The mesh panels are also placed in high submission point areas meaning that you may “stick” better to your opponent when attempting submissions. The main body of the product is made from a high quality 80/20 polyester spandex mix. Women’s Sphere Compression Leggings were designed for general fitness, grappling, BJJ, or MMA workouts. They can be worn on their own or as an added layer under shorts or Gi pants. Sphere compression leggings can help promote blood flow; therefore increasing muscle performance and efficiency. A major advantage is that they help protect you from minor injuries such as scratches, grazes and burns which can come from the mat or your opponents clothing. Your skin is also well guarded against germs harboring in the mat during grappling.